Terry Segarty, well-known Cranbrook community leader and business owner, is seeking the nomination for the Liberal MLA seat. Community leader and business owner Terry Segarty is seeking the nomination for the Liberal MLA seat. 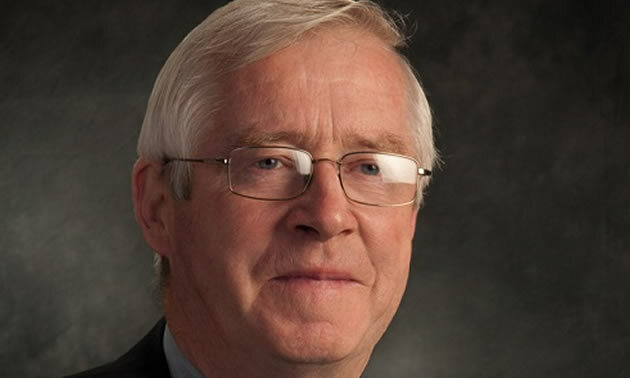 Segarty said his extensive experience in politics, business, and as a community volunteer, puts him in a unique position to maintain the effective representation we have enjoyed during the term of the current MLA. Segarty is the president and chief operating officer of 2 Baker Developments Ltd., Terrim Property Management Ltd., and O’Shea’s Entertainment Inc. Previously, he was the owner, president, and chief operating officer of Birchwood Building Corporation; and a Member of the Legislative Assembly of British Columbia representing the constituency of Kootenay East. In addition, he has served as Government Caucus Chair, and chaired the select standing committees for agriculture, environment and resources, and municipal affairs and housing. Segarty is actively involved in the community. He is a director for the Royal BC Museum, president of the Cranbrook Kimberley Hospice Society, as well as a member of the Salvation Army Community Council. Previously, Segarty served as a director for the Cranbrook Regional Hospital and Green Home. A long-time resident of Cranbrook, Segarty spends his free time with family, taking advantage of the abundant recreational opportunities the Kootenay region offers: fishing, hiking, bicycling, skiing and, every so often, chasing Pokémon Pikachu around town with his grandchildren. Voting Day for BC Liberal Members to select BC Liberal candidacy in the Kootenay East riding is October 22. To learn more about Terry, his experience, and why he is a strong MLA candidate for Kootenay East, visit www.terrysegarty.com or find him on Facebook, Instagram or Twitter.